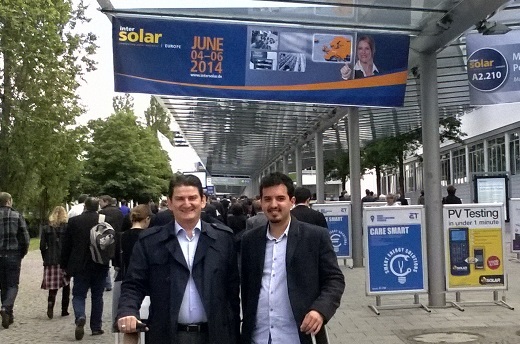 More than 500 companies from Germany, India, China, Taiwan, Lithuania, USA, Italy, Spain, Portugal and different countries exhibited in the Intersolar Exhibition. 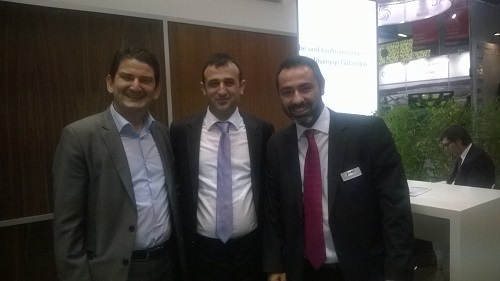 Mehmet Dukkanci and Ismet Ugurel, who visited the stakeholders of the industry for three days, exchanged ideas on Turkey market with sales executives, marketing managers and CEOs of these companies and invited them to Antalya to take place in RENSEF Exhibition. 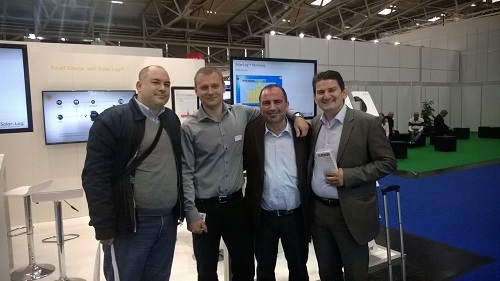 Agoras Exhibition team introduced the PV market in Turkey to the Intersolar exhibitors and informed them about the economical infrustructure of Antalya consisting of more than 850 hotels that are approved by the Ministry of Tourism and greenhouses that are estimated to be more than 100.000. Agoras team also mentioned that these tourism and agriculture facilities are the establishments that need the highest amount of electricity in Southern Turkey and investors of these facilities are always in search for alternate solutions. 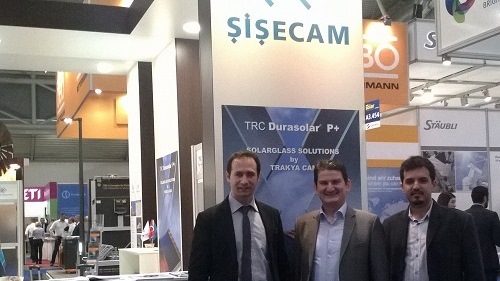 Besides, it was explained to the Intersolar exhibitors that Antalya provides a pretty good environment to perform the company, distributors meetings thanks to below-average accomodation costs in Antalya. When all these are considered; Antalya is a candidate for both national and international commercial meeting point. 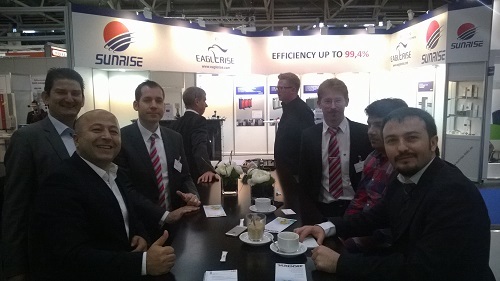 Agoras Exhibition team agreed with Intersolar Europe exhibitors that the Turkish market will reach and exceed its potential and become a strategic connection point for Middle East and North Africa regions. 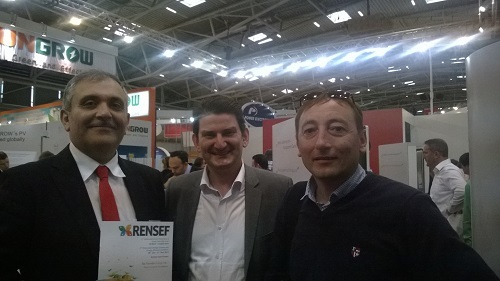 Mehmet Dukkanci and Ismet Ugurel invited all companies' senior executives to RENSEF 2nd Renewable Energy Systems and Energy Efficiency Exhibition that will be held between October 30 - November 2 2014. This Page Has been updated at 25.06.2014 and has been read 0 times.